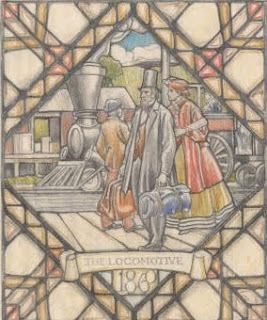 The Pierre and Wright Architectural Records digital collection, added to the Digital Media Repository in August of 2009, consists of drawings, photographs, 3-D models, and ephemera from the architecture firms of Edward D. Pierre, the Pierre and Wright Partnership, and Edward D. Pierre and Associates, ranging from 1920 to 1960. This month over 200 new assets were added to this online collection. Additions include several 1930s images relating to Fendrick's Famous Foods, a restaurant that used to exist on N. Illinois St. in Indianapolis and the old Indianapolis Firestation No. 18 among others. Pictured above is a window design from Fendrick's. The Original Leaves from Famous Bibles digital collection is now available in the Digital Media Repository. This collection of 60 leaves from famous Bibles, from the earliest ever printed to items dated in the 20th century, was assembled and collated by Otto Ege and Philip Duschnes. 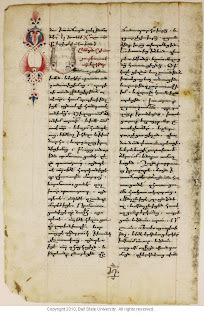 Ege was renowned for compiling medieval texts. The collection (with originals in BSU Archives and Special Collections) includes incunabula and a leaf from the 1611 King James Bible, among other rare items. 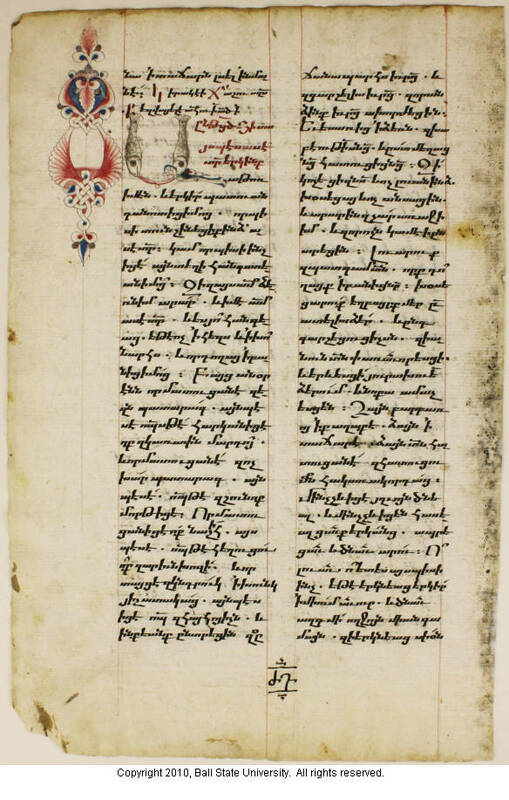 Pictured above is an example from the collection, an Armenian manuscript Bible from the twelfth century. The Ball State University Commencement Programs digital collection is now available online in the Digital Media Repository. 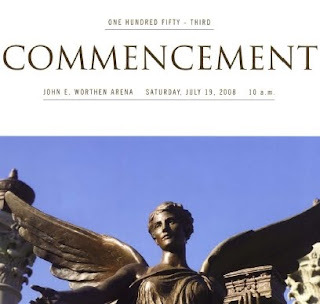 This collection includes graduation ceremony programs from 1913 to present. Use the collection to discover commencement and baccalaureate speakers, graduate rosters, and degrees conferred. The collection is full text keyword searchable.